Previous edition: 2000. Map on inside cover. 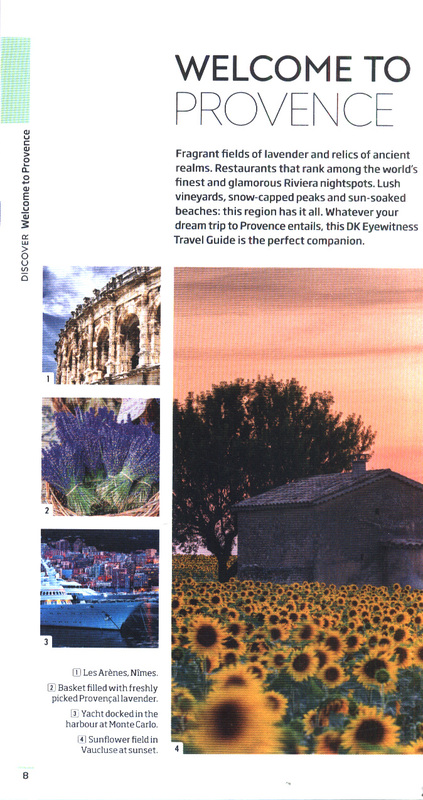 DK Eyewitness Travel Guide: Provence & the Cote d'AzurThe ideal travel companion, full of insider advice on what to see and do, plus detailed itineraries and comprehensive maps for exploring this tranquil and picturesque region. 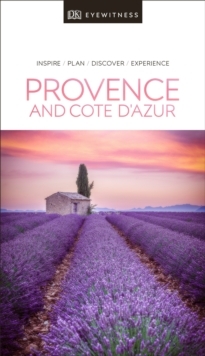 Tour through the beautiful Provencal villages and landscapes of the Petit Luberon, take in the glamour of Cannes, enjoy a dish of bouillabaisse in Marseille, or go wine tasting at Chateauneuf-du-Pape: everything you need to know is clearly laid out within color-coded chapters. 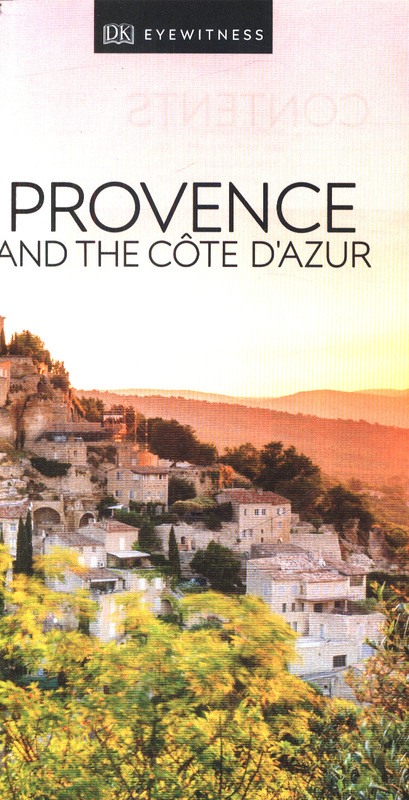 Discover the best of Provence and the Cote d'Azur with this indispensable travel guide. 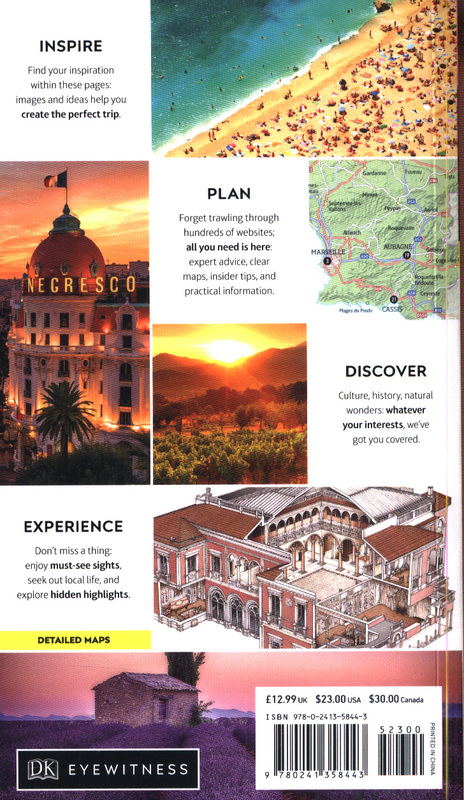 Inside DK Eyewitness Travel Guide Provence & the Cote d'Azur:- Over 15 color maps help you navigate with ease- Simple layout makes it easy to find the information you need-Comprehensive tours and itineraries of Provence and the Cote d'Azur designed for every interest and budget-Illustrations show the inside of icons such as Nice's Musee Matisse, the Ephrussi de Rothschild Villa, Gardens on the Cap Ferrat, well-preserved Theatre Antique et Musee d'Orange in Vaucluse, and more-Color photographs of the area's bustling cities and pretty towns, Roman-inspired architecture, white-sand beaches, elegant chateaux, beautiful landscapes, and more-Detailed chapters, with area maps, cover the Riviera and the Alpes Maritimes; the Var and the Iles d'Hyeres; Bouches-du-Rhone and Nimes; Vaucluse; and Alpes-de-Haute-Provence - Historical and cultural context gives you a richer travel experience: learn about the region's fascinating history and culture, famous artists and writers, local festivals, traditional food and drink, including its world-famous wines, striking landscapes and diverse wildlife, unique souvenirs, and more - Essential travel tips: our expert choices of where to stay, eat, shop, and sightsee, plus how to get around, useful phrases, and visa and health information DK Eyewitness Travel Guide Provence & the Cote d'Azur is a detailed, easy-to-use guide designed to help you get the most from your visit to Provence and the Cote d'Azur. DK Eyewitness: Silver award winner in the Wanderlust Reader Travel Awards for Guidebook Series 2018. "No other guide whets your appetite quite like this one." 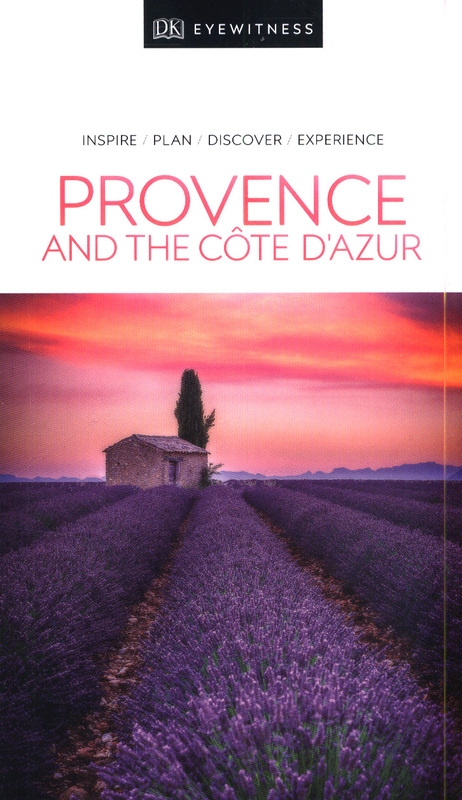 -The IndependentExploring beyond Provence and the Cote d'Azur? 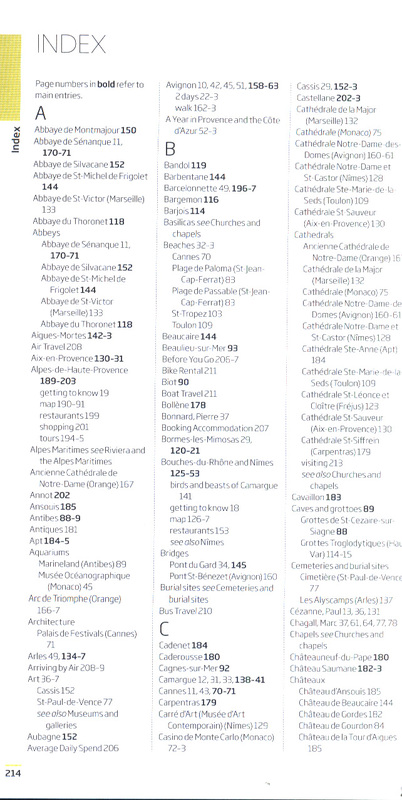 Try our DK Eyewitness Travel Guide France. About DK Eyewitness Travel: DK's highly visual Eyewitness guides show you what others only tell you, with easy-to-read maps, tips, and tours to inform and enrich your journey. DK is the world's leading illustrated reference publisher, producing beautifully designed books for adults and children in more than 120 countries.